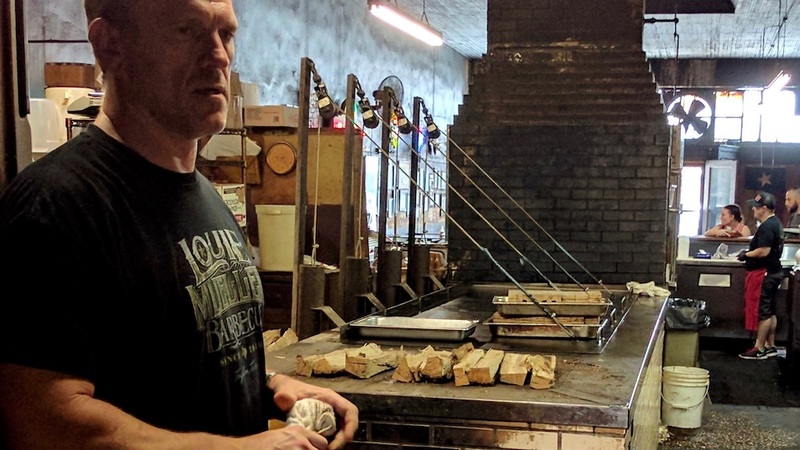 Why pitmaster Wayne Mueller came home to continue a barbecue dynasty. The folks at Louie Mueller know how good they are at barbecue. It’s right there on the website: “Named best BBQ in Texas.” The restaurant—which occupies an unassuming brick building on the main drag of tiny Taylor, TX—has nearly 70 years of butchering, smoking and eating under its belt. At this point, they seem comfortable with their place among the Texas culinary elite. They’re not wrong. This year’s Texas Monthly rankings of the best barbecue in Texas—in which Louie Mueller placed 5th—noted its “unquestionably regal” position among the state’s formidable group of BBQ legends. Indeed, this king of barbecue has hovered somewhere in the top 5 since the list’s inception in 1973. And the pitmaster these days is barbecue royalty in Taylor: Wayne Mueller, son of Bobby, grandson of Louie himself. Wayne didn’t always see himself at the helm of the family business. In fact, he’s somewhat of a prodigal son around these parts—leaving Houston, and the ad agency he founded, to come home to Taylor and take over the pits at the age of 41. The Louie Mueller building is an icon in Taylor. "This building was built in 1900," Mueller says. "I’m not sure what its original use was, but in the late teens it was converted into a gymnasium—golden glove boxing and semi-pro basketball were played here. I’ve had the good fortune to meet a few gentlemen who boxed here when they were in their youth. They tell me, 'Yep, it looked pretty much just like this except it didn’t have fires burning inside of it.' Pretty amazing." You may have seen his restaurant’s iconic jukebox before. "That jukebox has been sitting in the corner, not working, since I think ‘75," he says. "It worked for almost ten years before the smoke just obliterated it. Now it winds up on album covers—I think it’s been on three or four. Stevie Ray Vaughn shot one of his last photoshoots here before his death." The material for the restaurant’s first pit is surprising. "Our first pit was built in 1946," he says. "In 1946 we were coming out of a wartime economy, so our manufacturing base was really all geared toward supplying the war effort. This plate steel was in high demand but low supply—all commodities were. My grandfather got this from Galveston. During that time, the Navy did a lot of things with their old ships, especially from WWI, because they were just really unusable. Some of them, they stuck out in the ocean and used as test dummies for nuclear bombs. Others, they cut up into plate steel. That’s where he got the material for this pit." 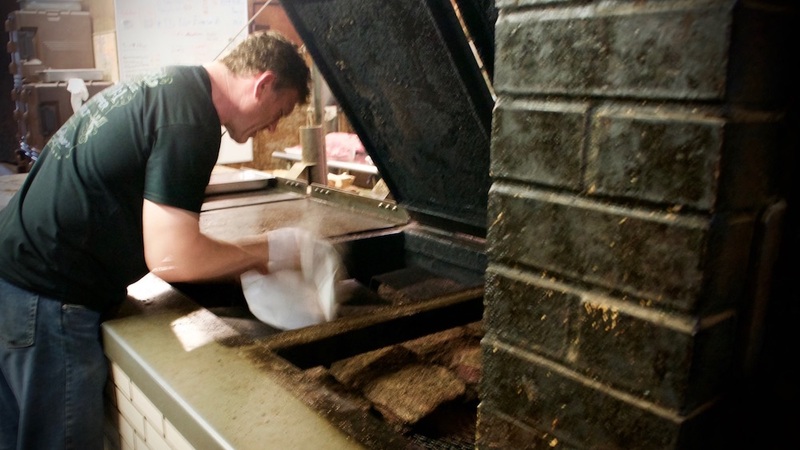 Central Texas barbecue has immigrant origins. 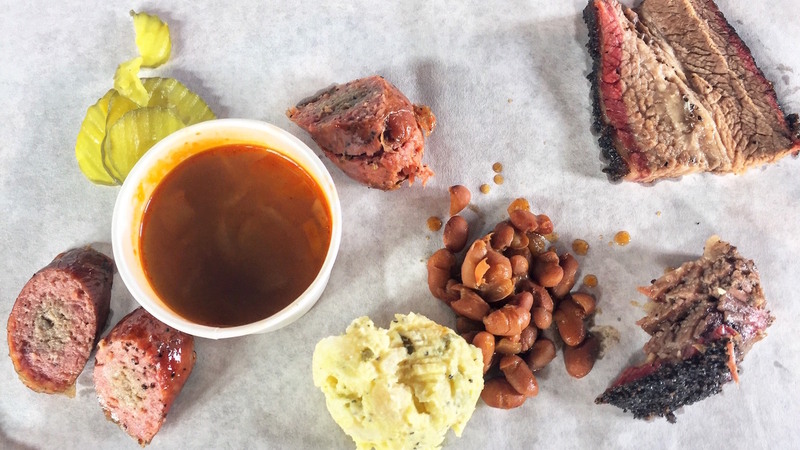 "We do Central Texas barbecue, otherwise known as 'meat market' barbecue," he says. "It really developed from these Eastern Europeans who came over, Czechs and Germans, who brought sausage with them—and also that sort of Protestant work ethic—nothing wasted, nothing wanted. You had all of these [immigrant] meat markets doing the exact same thing: they were all making sausage, they were all drying it out to extend the shelf life, they were all cooking for instant consumption. There was no steady menu. With the advent of [barbecue-style] shoulder clod, and then brisket, you had an economical way that you could feed a dozen people or more off of a grill space that was literally 18x12 inches. It made sense. You started seeing, en masse, people in meat markets buying in." Respecting animals is hugely important to him. "We like Creekstone beef because the methodology for harvesting is much more of a humane effort," Mueller says. "Temple Grandin—she’s sort of the cow whisperer—literally designed the whole packing facility for Creekstone. What we do, we should be thankful to every animal that comes through. Because without them, first off, we wouldn’t survive—and we wouldn’t have this form of living or this tradition. So it’s my perspective that we try to find partners who have like views and are willing to go that extra mile." In 2006, everything changed for the restaurant. "We have a medallion on the wall, and a picture of my father sporting that medallion," Mueller told Food & Wine. "This is his James Beard Award from 2006, being an America’s Classics recipient. The first Texas barbecue guy to be honored by the James Beard Foundation. I think it was certainly his crowning achievement. And I think it was a big reason why he wanted me to come back and continue his work, because prior to that, he was pretty much like, 'Go live your life.'" He took an unlikely path back home. 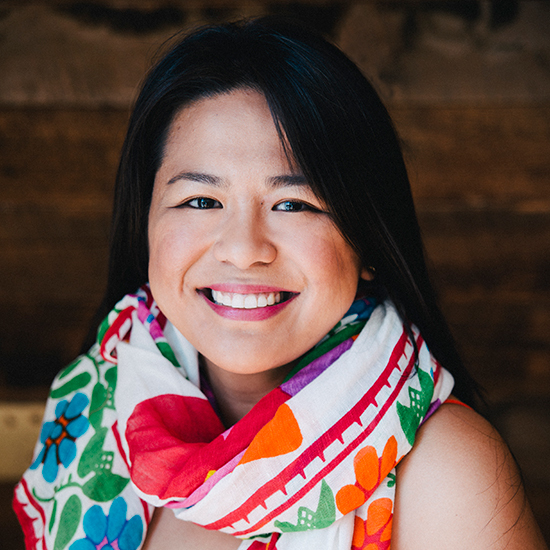 "I ripped my rear-view mirror off the car when I left for college—'I’m not looking back. I’m not coming back. I’m never going back.' Never say never, right? Coming back to Taylor, it’s a huge life change, I have to tell you. I studied civil engineering and architecture for four and a half years...after my Masters program, I started working in professional sports. I worked with a few minor league baseball teams, then the Houston Rockets for a number of years. I eventually left, became a mercenary—hired myself out to corporations, entered negotiations on their behalf. After a couple years of that, I grew that consultancy into an ad agency and did that for about 8 years before my father requested me to come home." There’s something special about this line of work. "I could sign an $8 million-dollar sponsorship deal with my owner, and his response would be 'That’s great. What else are you working on?' I can cut off an end piece of brisket for someone who’s never had it, and they have one of those epiphanies—eyes roll to the back of the head, speaking in tongues. It’s real, it’s right there. It’s true gratitude that I haven’t been able to find in many other aspects of life...It’s easy to lose track of who you are, where you came from, why you are what you are, what really means anything to you. In a place like this, all of those questions are answered almost immediately. You know what you’re doing and why you’re doing it."